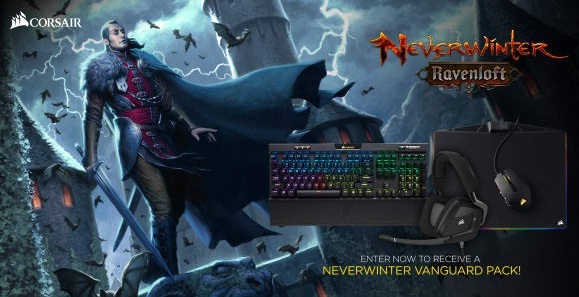 Neverwinter Ravenloft Giveaway is open only for those who are the legal residents of the United States but only for those residence who are at least 18 years of age or older at the time of Giveaway entry period. The Giveaway ends on 6th July, 2018 at 12AM Pacific Standard Time (PST). The winner of the Giveaway will be selected randomly from all eligible entries receive during the entry period and the Prize for the winner is a full set of CORSAIR peripherals. Prize (s): An exclusive CORSAIR mount Suratuk’s Red lined Fey Wolf, The brand-new Hunter Expedition Pack and a full set of CORSAIR peripherals.